Many dog owners, fortunately, do not need an animal behavior scientist, veterinary behaviorist or other highly skilled behavior professional. A lot of dog owners need a highly skilled trainer (learn the difference between professions by clicking here). So what is the best way to find a science-based trainer that is going to be effective and humane? The Merck Manual has a quote I cannot stress enough… “avoid trainers who offer guarantees. 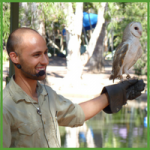 Such trainers are either ignoring or do not understand the complexities of animal behavior.” Even as an animal behavior scientist with formal education, I cannot offer guarantees. I can only recommend a general amount of sessions based on the issue(s) at hand, we cannot guarantee resolution of a behavior by a certain date, time frame, etc. It is unethical. Nor is it fair to the animal. 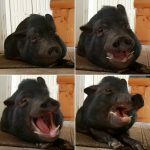 The time frame for behavior modification is heavily dependent on the animal(s). The animals deserve to be able to tell us how much “work” they need and want. We determine our speed by how they react. Here at Ludar Animal Behavior, we use science-based techniques because they are proven via data (or evidence) to not only be effective but the most humane for the animals. At the end of the day, the animals are our primary concern. We are here to advocate for them. I would love to find someone to train my dog for me. It’s good to know what to look for in a good trainer. I will definitely have to find someone who rewards my dog with treats and reinforces good behavior, like you said. 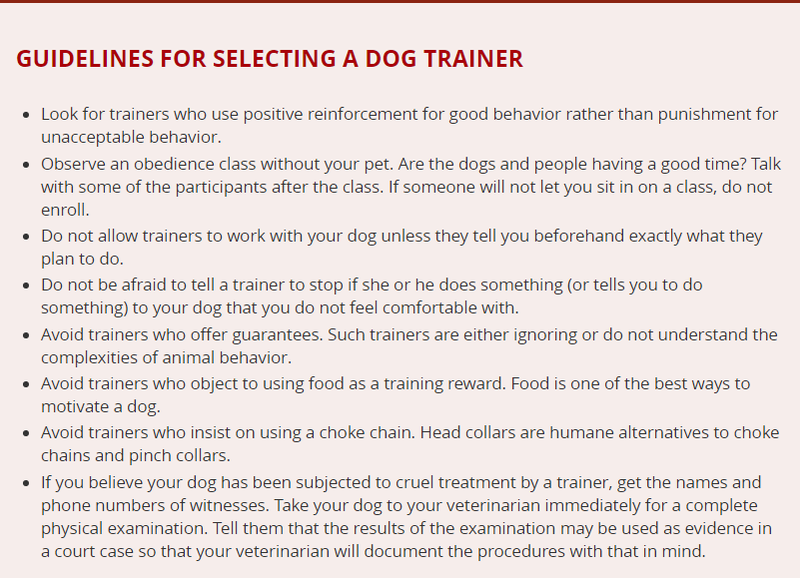 I do like that you provide a list of what to avoid when choosing a dog trainer. After all, ideally you will want to make sure that you are choosing someone who respects your dog and knows what they are doing. I also like that you recommend choosing one who uses food as a motivator since that is one of the best ways to get a dog to do what you want. Of course, each individual animal determines exactly what they find reinforcing. Food tends to be a very common reinforcer. Some dogs prefer quick play sessions, being pet, verbal praise, etc. Food is not a requirement for training but very helpful.